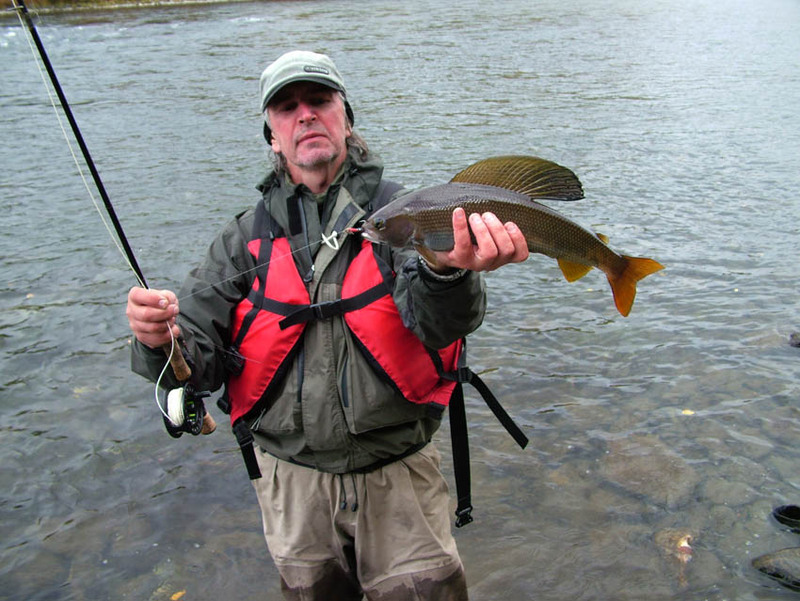 Chavanga Fish Blog: Kamchatka for everyone can be other. 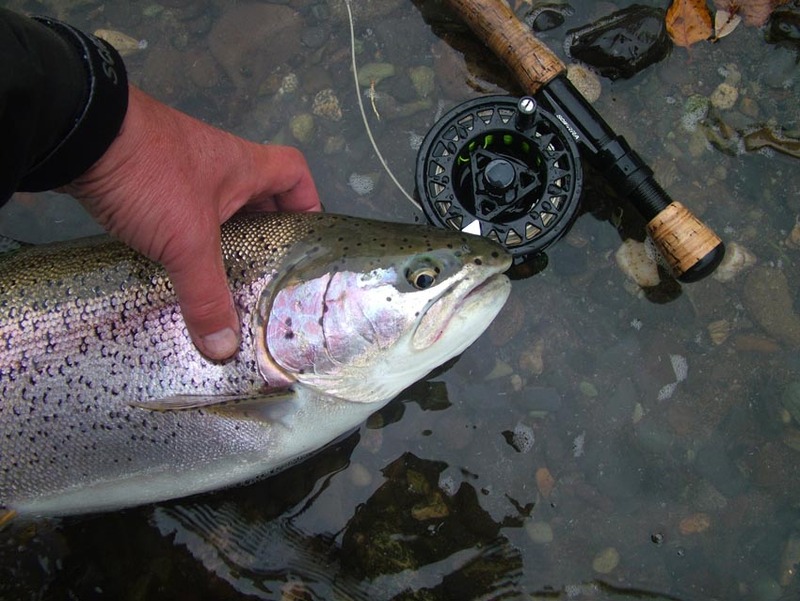 Flyfishing trips for salmons, trouts, graylings and charrs. 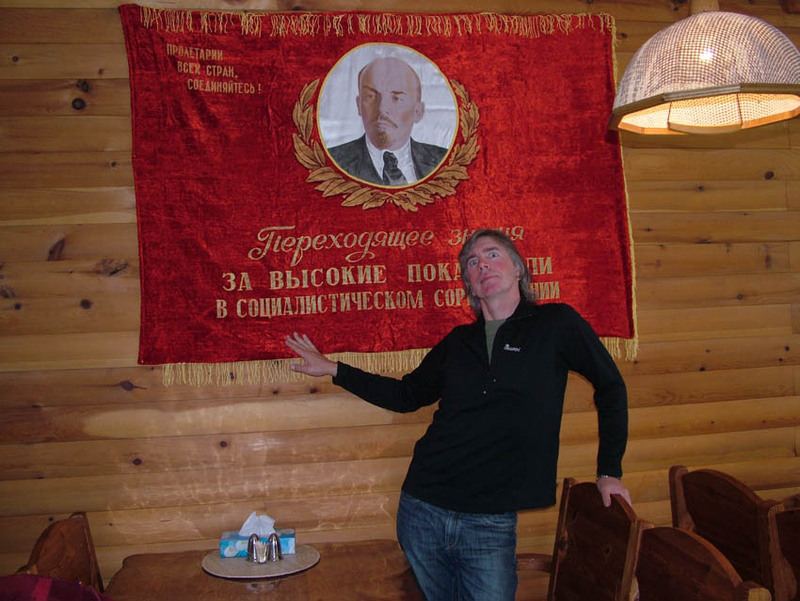 Kamchatka for everyone can be other. 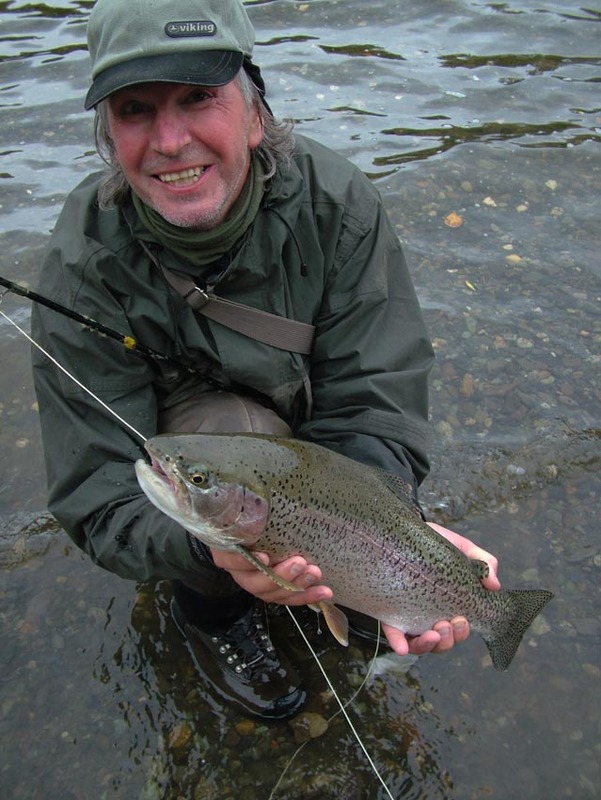 Flyfishing trips for salmons, trouts, graylings and charrs. Kamchatka for everyone can be other. 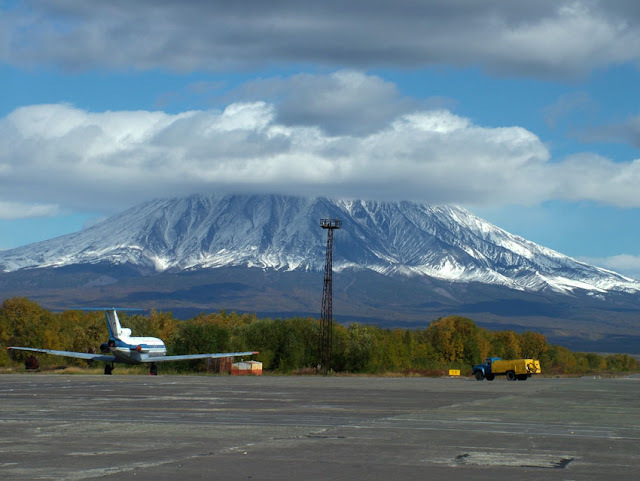 Petropavlovsk - the air door to kamchatkas rivers. 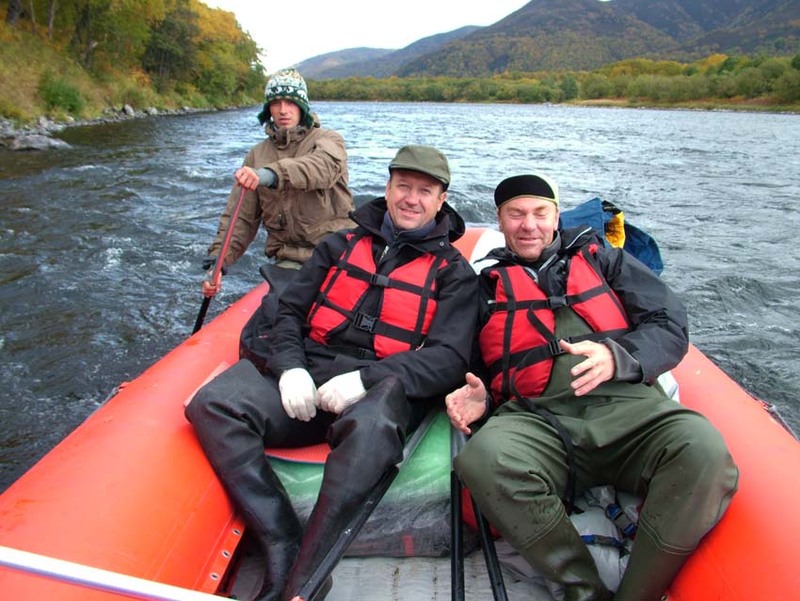 In representation of the majority of our fishers - Kamchatka it is far and expensive. I was constrained too by similar fears, it is necessary to fly days it is not known where, to pay lines knows how much for 2-3 steelheads, what for it is necessary? I at all the supporter of similar "exclusive" and me do not involve prospect to spend 2 weeks and a heap of money for the sake of illusory possibility to catch pair of these fishes. 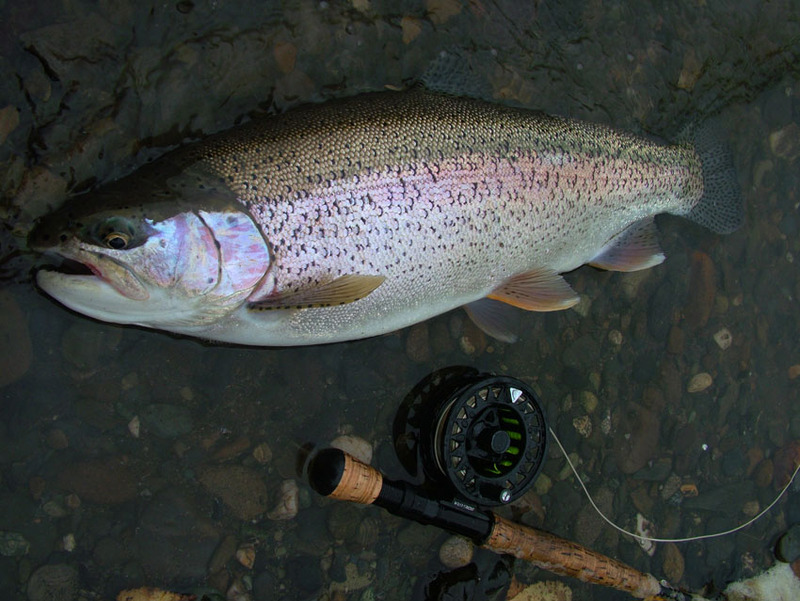 Experience of colleagues in the basic confirms my belief that there is no sense to spend days for expectation of helicopters and day after day to listen to reasonings that steelhead will be already exact tomorrow in the river. 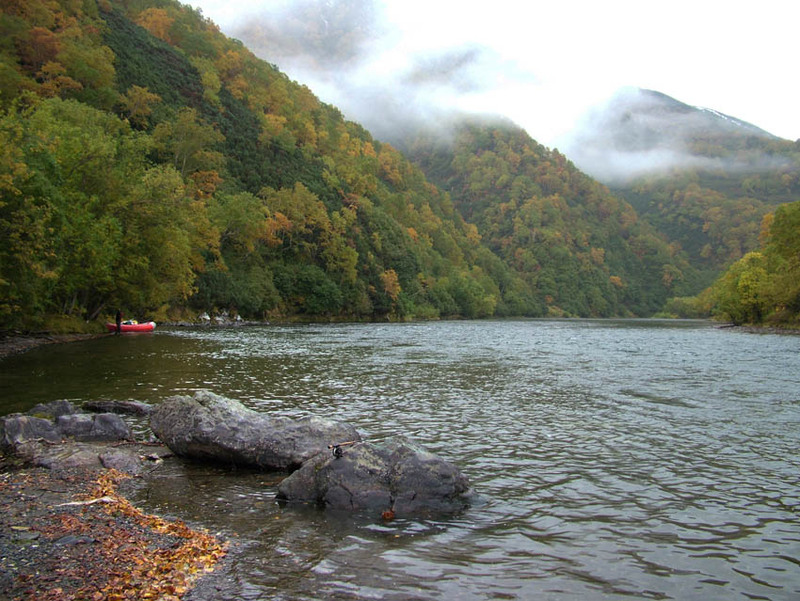 Presently, on any, almost any Kamchatka river it is possible to reach by car. Let it will seem strange, but the usual truck or an off-road car not only is much cheaper than the helicopter, but also faster it. 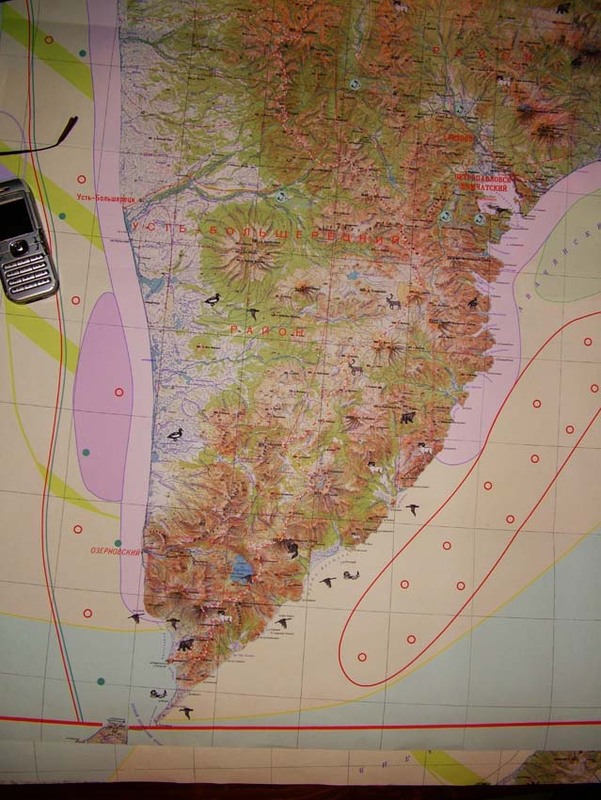 The situation with Kola peninsula where we happen more often Here repeats. An essence that transport should be arranged to us, instead of we to transport. 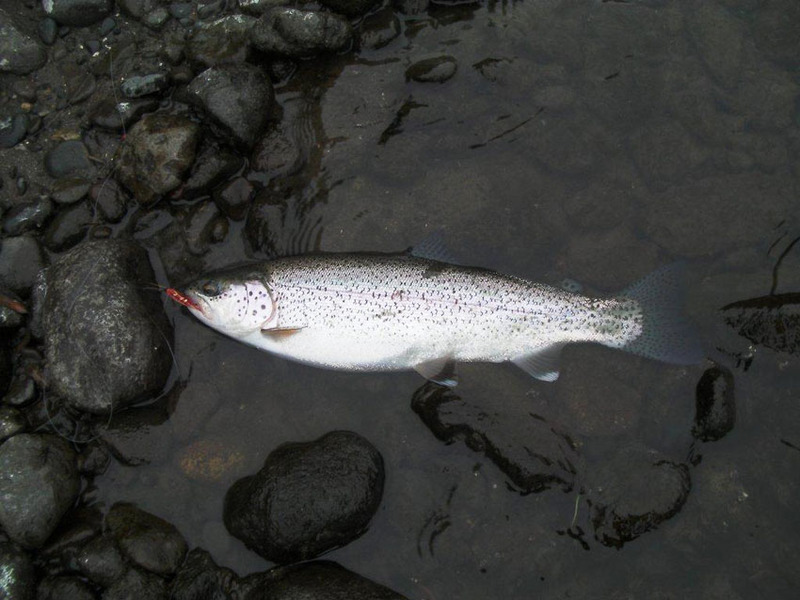 Here also it turns out that having arrived to Kamchatka, already next day we fished. 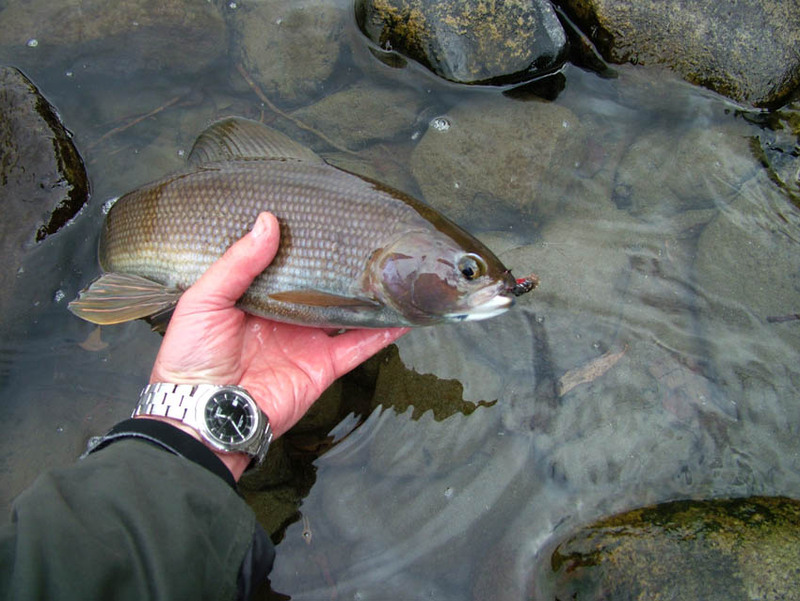 Kamchatka is remarkable that the rivers, water the large quantity here is simple. All of them different. Big and small, quiet and running in rocks on thresholds. All of them beautiful here again it is a lot of fish. 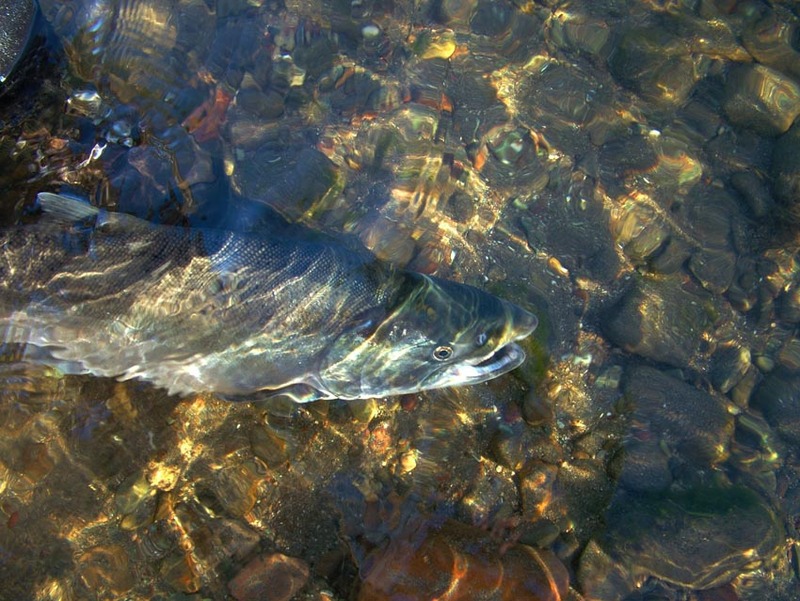 The ocean simply fills the rivers with fish. All had an unanimous opinion - fishes here simply much, in 10 20 times more than on Kola. 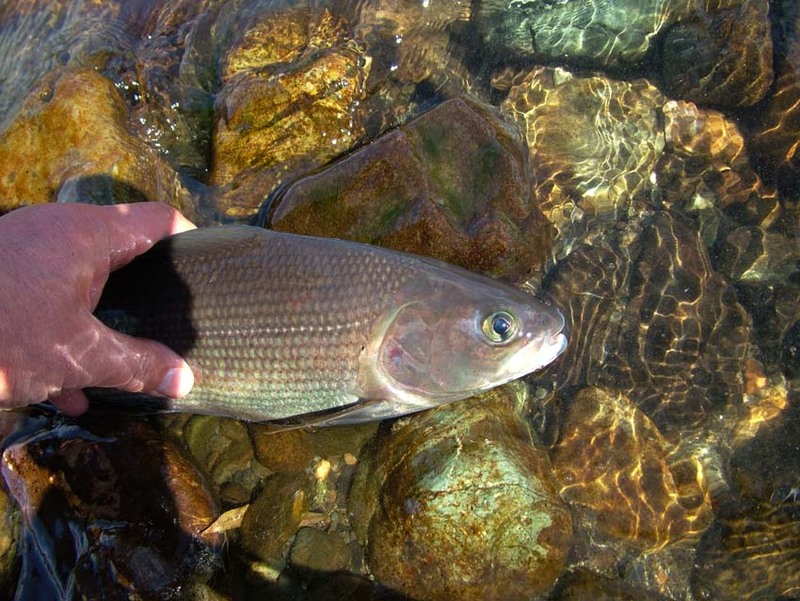 When we have arrived on our first small river transparent water, first of all, has pleasantly surprised. In water all is visible. We see the stony bottom, turning green holes on turns, boulders on rifts. Unlike the rivers Kola, the bottom of the rivers was smooth, as though smoothed. If at the bottom there are no sunk trees there are no hooks and there is no risk to lose a front sight or I will flash. At first it was not clear, where there is a fish and in what places it to catch. It became then clear that any obstacle at the bottom, stones, holes, serve river turn as shelters for fish. For spinfishers it was interesting to catch silver salmon, a silver salmon. It only has entered into the river from the sea and gathered flights under coast, in places where the current was more slowly. Congestions of fishes could be defined on splashes at a surface. 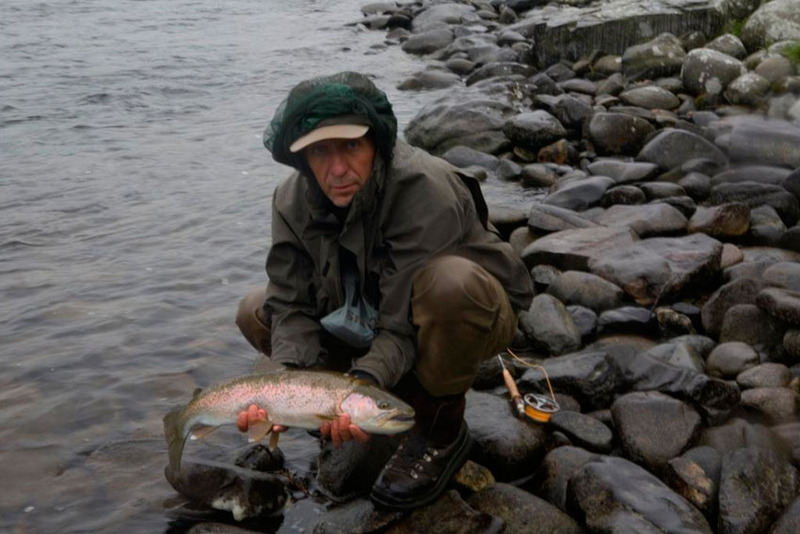 On I will flash a salmon reacted actively, the main thing that блесна was appreciable and aggressive. 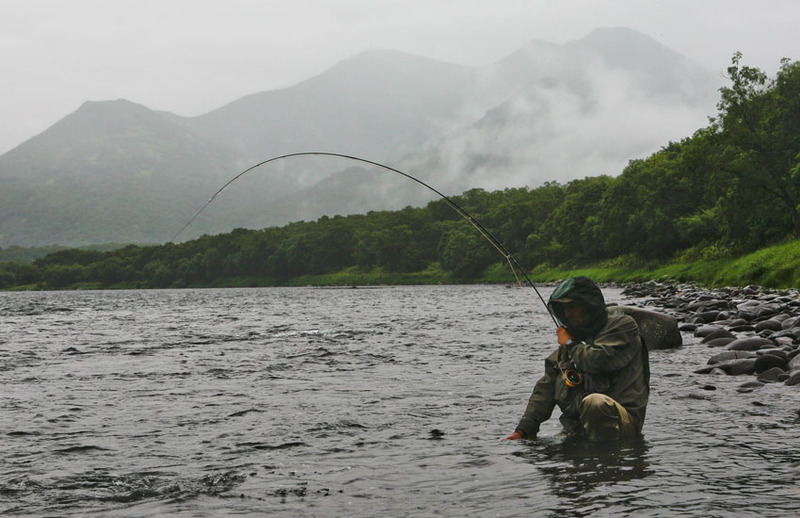 In my opinion, as well as on Kola the rule worked - to adhere the lure and to deep It in a good place. Well worked lures of type Blu Fox №5-6 typewith an orange petal. On a fly it was more difficult to catch, many good places it was more convenient to fish by spinning. But, eventually, and I have adapted to find places that convenient for casting . 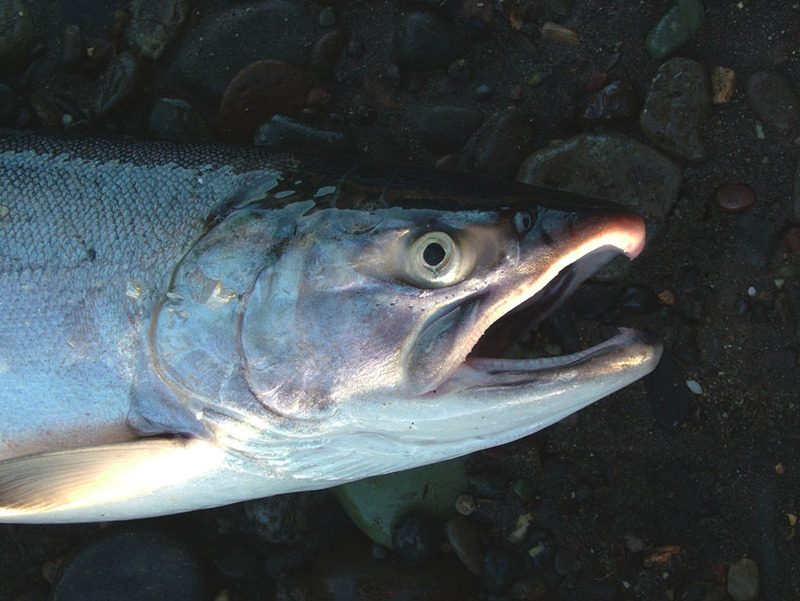 Salmons of other kinds already spawned, on coast were visible remains of the lost fishes, the escaped salmons still stood in places of the former spawning. 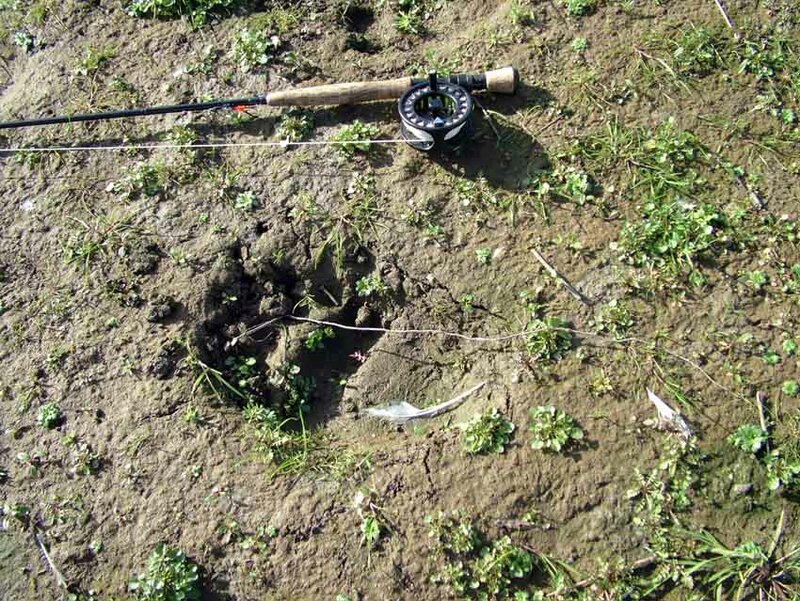 Bears have left everywhere the traces. It was a little terrible to make the way on their tracks along coast. But without them to go on the river in search of a convenient place for catching very uneasy. The unique way of movement is a boat. 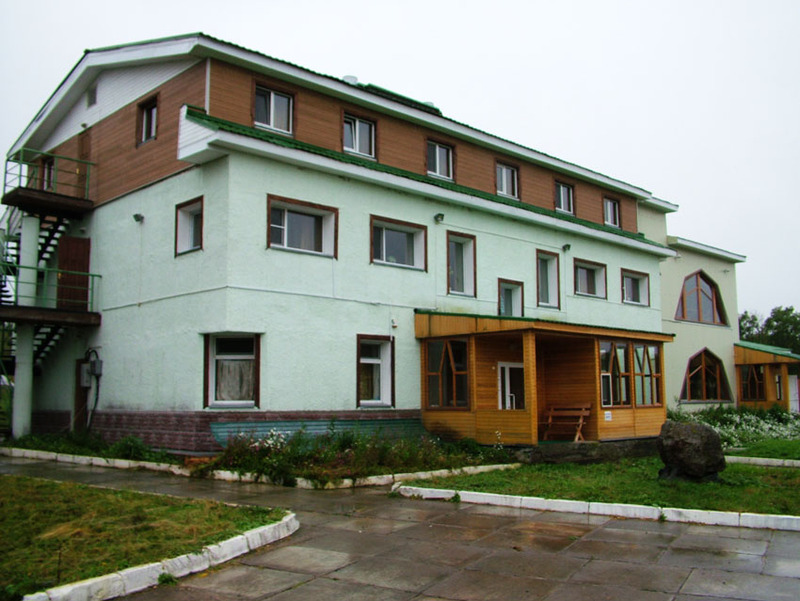 Here all grows so quickly, highly and densely that the Kamchatka coast will not mix with any another. We were alloyed by boats on 4 rivers. Distinctive feature of these rivers - presence of set of sleeves with islands. Sometimes the river suddenly breaks up to 2, 3 or 4 sleeves and where to float begins not clearly further. Some sleeves happen simply are partitioned off by blockages from trunks of trees. Therefore the person who is down on to these places is necessary in a command. After all after each spring high water the situation on the rivers can change. Once I have been simply stunned. 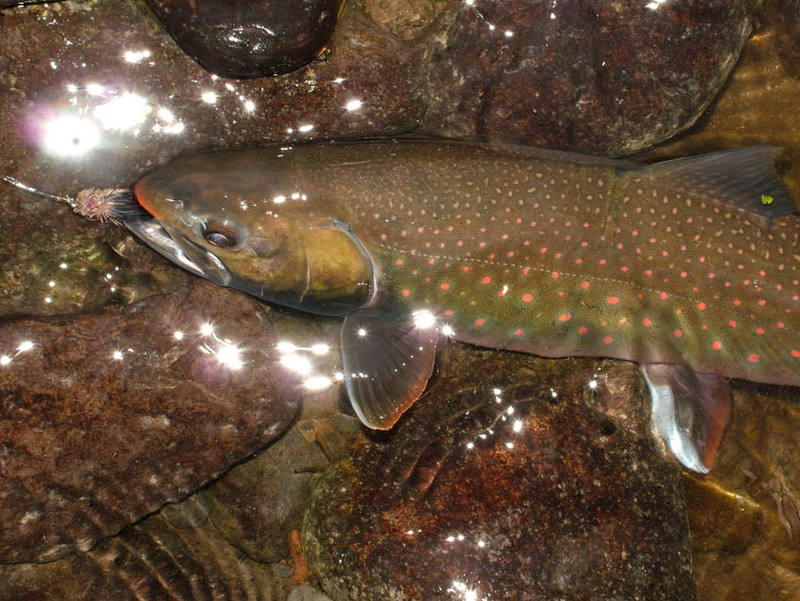 I have gone down below camp in search of new good places for catching charrs and rainbows. Me these fishes first of all interested. I have curtailed into one sleeve, have crossed island, have passed to another and suddenly I see that the river simply flows away in wood, disappearing between trees. An amazing show! Speed of a current here happens big enough. 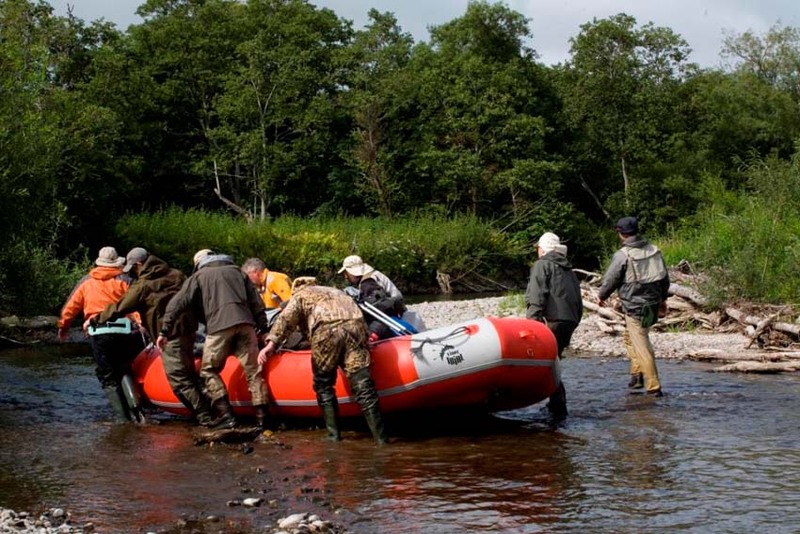 To move on big rafts - inflatable boats, it is necessary attentively. To turn back and to come up against the current already it is almost impossible. I remember two cases when we nearly have not lost the command. Once I have gone one to look that there further downwards on the river. I have agreed that through a floor of hour, the command will act in film from a place and will pick up me ashore. All looked simply, any problems. Besides, that boats hardly have not left in other sleeve of the river. And that I hardly have had time to jump in a boat which cannot be stopped on a current. So the next days I did not risk and too far did not leave from stop places. It would not be desirable to be lost at all, not Kola where sooner or later on coast you will reach the house. If to observe elementary care it is possible to give all free time to fishing. Our workers were engaged in camp statement, cooking. We showed the initiative only at preparation of own fish recipes. And so, all day long, it was possible to fish. Spinnfishers often caught directly during an alloy, from boats. 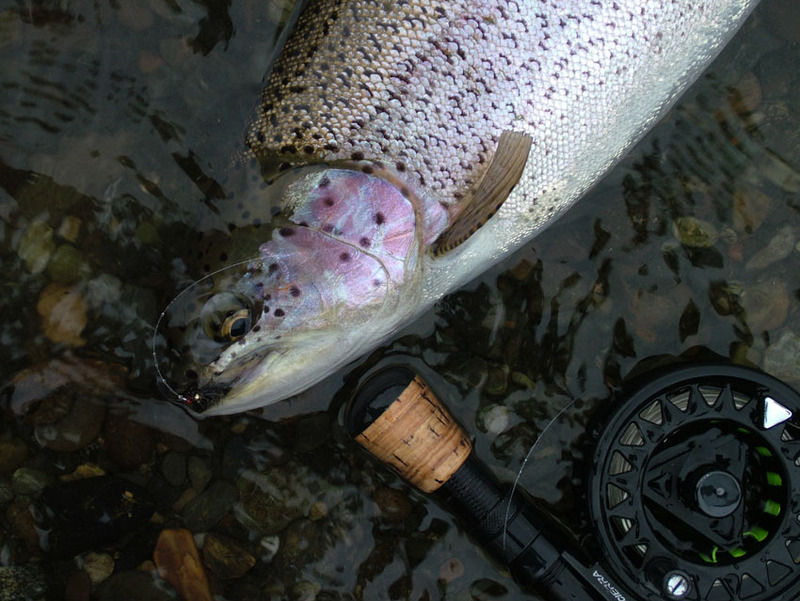 To me with fly fishing tackles It was more difficult also with envy looked, how on I will flash extend next silver salmon and the people in boats joyfully shout and drink about it. 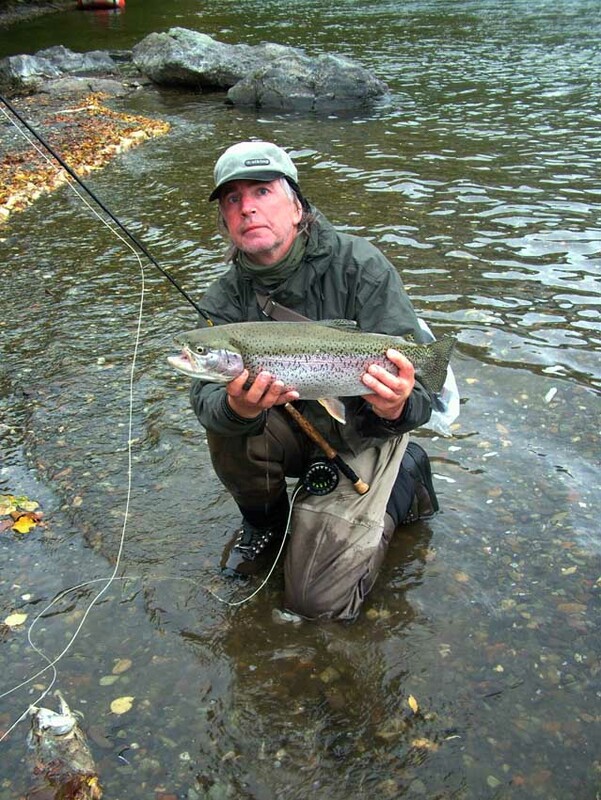 In catching of a salmon it was difficult to me to compete with spinn fishers. Catching on a front sight demands search of a convenient place, concentration, selection of a fly, time. Spinn fishers are not puzzled absolutely not by such trifles and dragged fishes from any position. But in a front sight there was a charm, the greatest rainbows and graylings were caught by me on a fly. 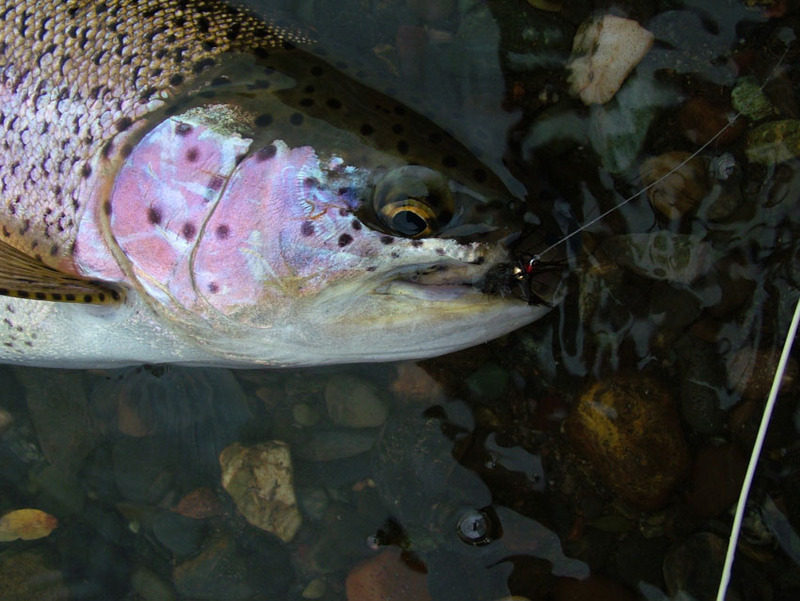 These fishes unlike Pacific salmons show often selectivity and fantasy baits of type lures or salmon flies do not want to suffice. 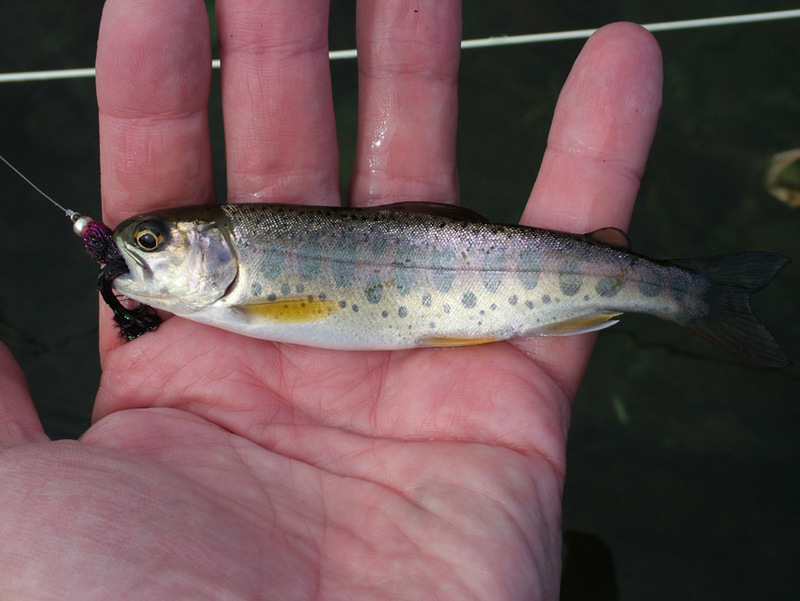 Skills of catching of a trout were useful to me. 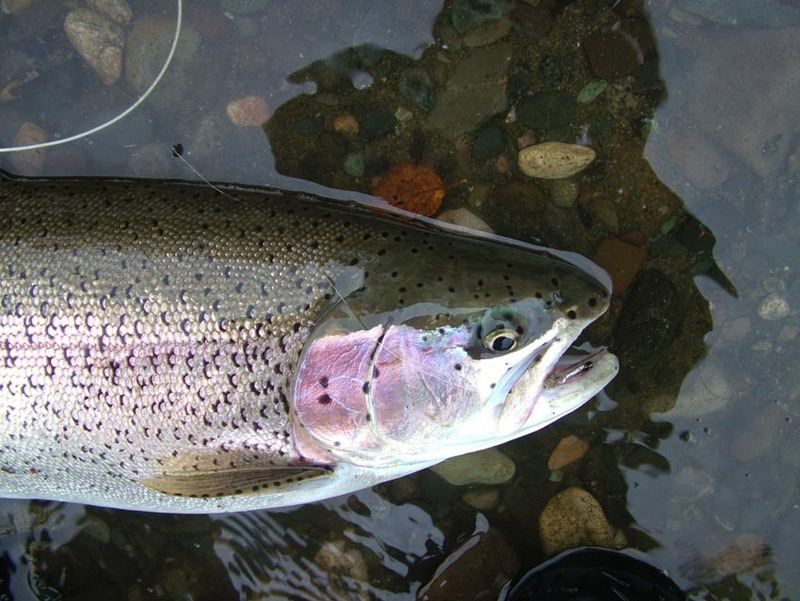 Rainbows and graylings here are active predators, they eat smalts of Pacific salmons. Minnows or blood worms, worked perfectly. 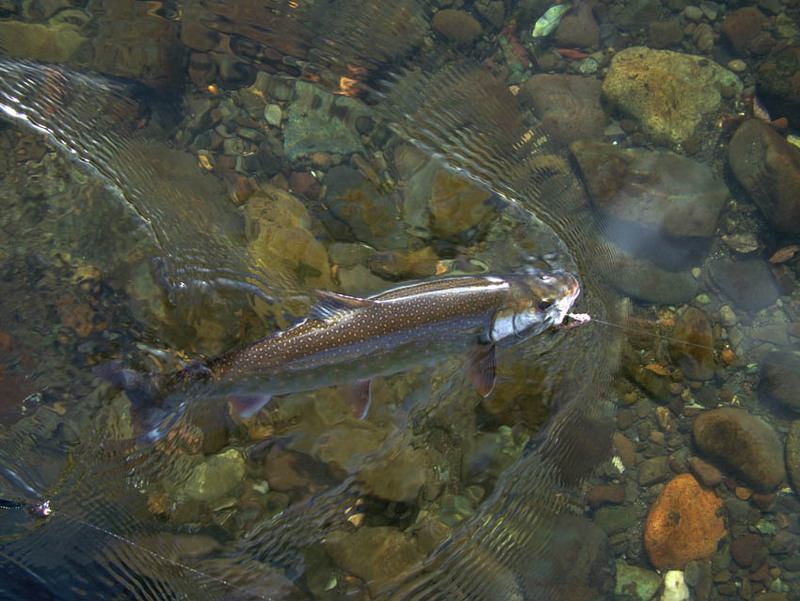 In any place on a stream with blockages of stones, on an input in holes, everywhere, where there were shelters, it was possible to catch good rainbows and graylings. Charr there was a set. On reaches in rocks they sometimes accumulated in set. But large copies to 2-2.5 kg took separate places behind stones on a current. Such beautiful fishes I did not see earlier anywhere. I want to notice that life of ground fauna to me has seemed to the poor. In comparison with Kola peninsula here there are not enough sedge larvae or nymphs of mayfly. Stones which I investigated, were naked, without traces of larvae and even seaweed more often. Probably, therefore, all fishes here so active also are aggressive. Each of 4 rivers which we have visited, had the features. Not only because they different in size. But also because they proceed on different district though are located all in 2-3 hours' journey by car from a place of our residing. Kamchatka though also seems big, but actually territory where the rivers proceed, not so is great. From volcanoes and high hills to flat coast of all one hundred - two kilometres. Therefore, floating on one river it is possible to fish in a shade of volcanic ridges, and among the most beautiful hills, and on plain at the sea. Considering wishes of fishers, we have increased duration of fishing. To go so it is far all on 6 - 7 days - not seriously. Therefore we have calculated our program on 10 days of catching on 1500 dollars from one participant. That there was a possibility to have a rest in breaks between alloys, fishing was divided into 3 parts. The first alloy have made short one-day. 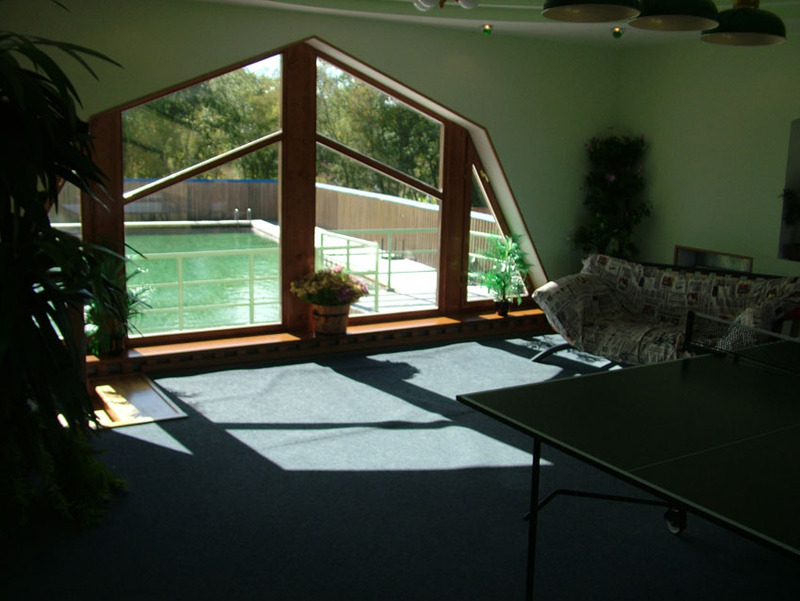 It it is necessary to pass short acclimatisation and will accustom with boats and the river. Two following alloys have occupied for 3 and 5 days for which time we have passed on 60 and 120 km. Our small hotel is located far enough from a civilisation in a place, whence it is convenient to reach any of these rivers. 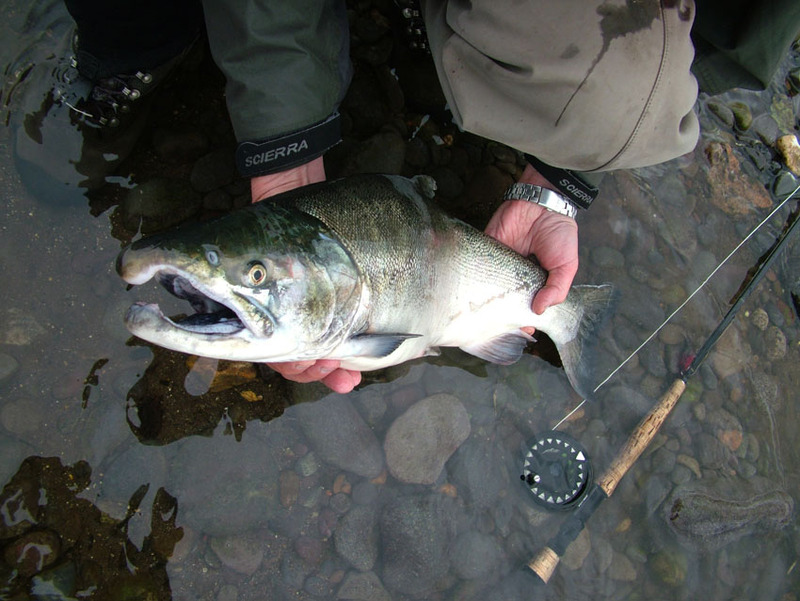 At will we can choose the river Big well-known for the king salmon in the season beginning. Big it is the serious river, and Karymchina is less in the sizes, the Opala river is very beautiful. Here it is a lot of interesting rivers. 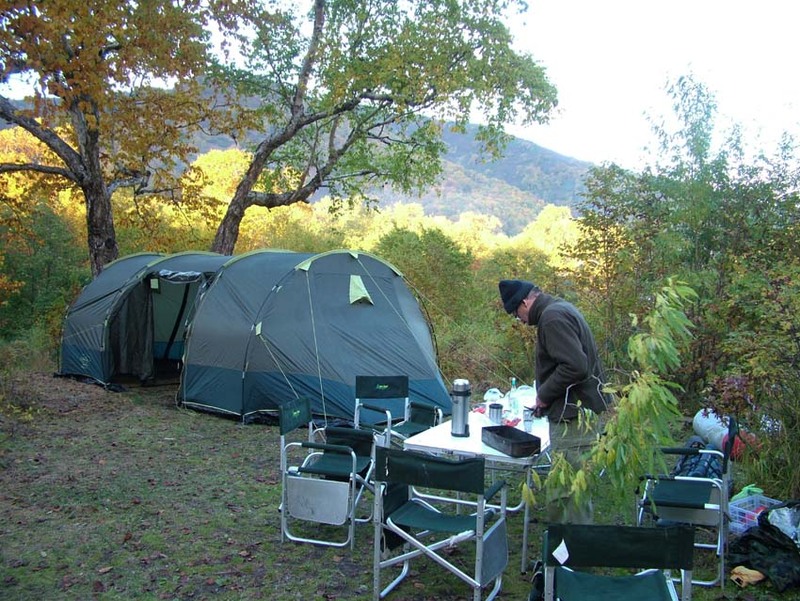 I sometimes dissuade fishers who do not want to do breaks and to come back from the river in hotel. 10 days it not 5 days, pass an alloy dynamically and fishing demands some physical efforts. 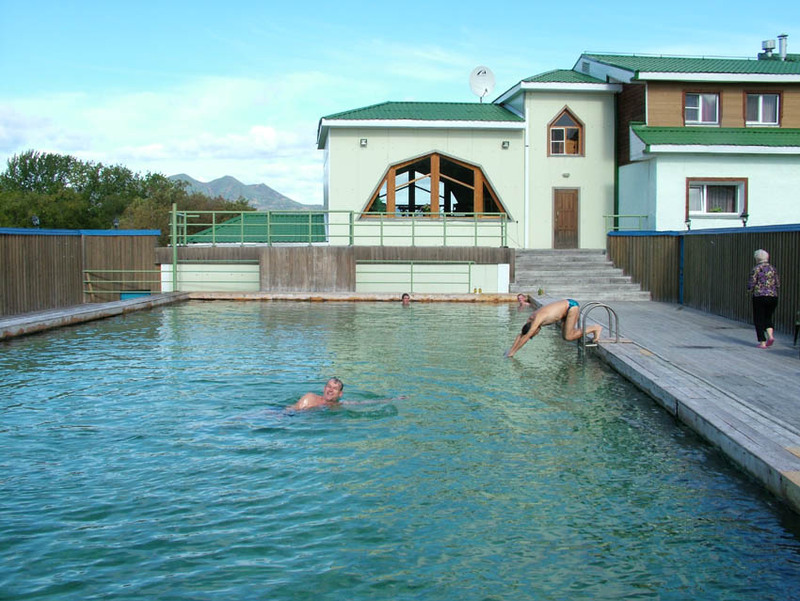 Agree what to return to hotel after an alloy, to be warmed in pool with thermal water and to sit evening in the good company it it is very quite good. And tomorrow since morning it is possible to leave and look at new places again. I think that everyone who has visited Kamchatka, will agree that the strongest impression is left by the nature unusual and simply unique. Such rivers, mountains more anywhere are not present. To salmons you get used and even you are tired of them. 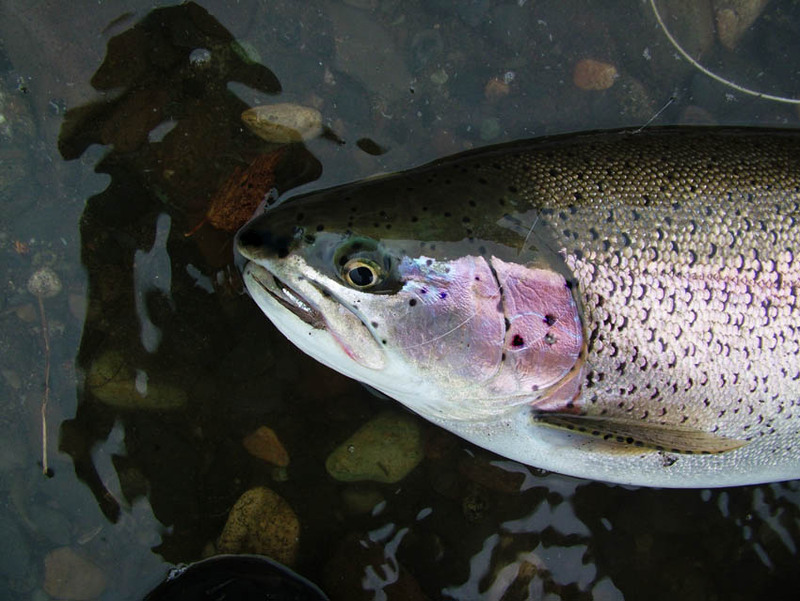 KIngs it or silver, steelhead or the humpback salmon - is not present any difference when you will catch them 10, 20, 100 pieces. 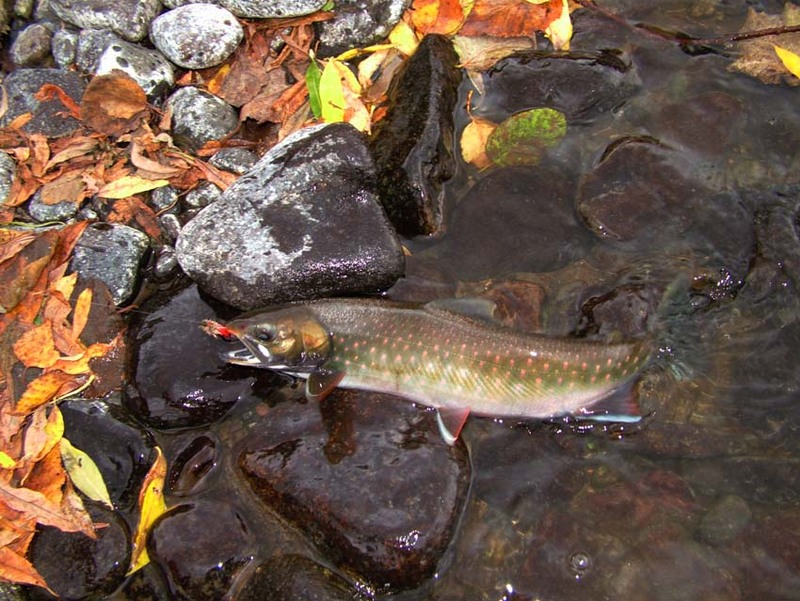 It was pleasant to me, that it is possible to leave salmon tackle and to try fishing local fishes, charrs, rainbows and graylings. So it seems to me it is possible to understand is better these wonderful rivers, their character and life. 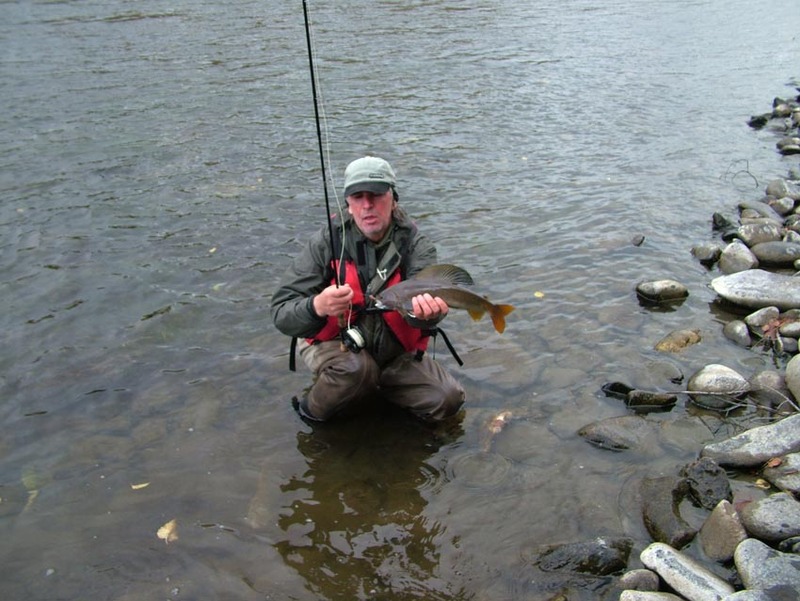 Hucho taimen fishing. Giant fish. Part 4.